Camp began as a dream in the hearts of Jim and Pam Behling over twenty years ago. After years of working in the Christian Summer Camp industry, "The Bears" were called by God to establish Deer Creek Camp, with the purpose of reaching families for Christ. In 1999, after three years of doing retreats at nearby Camp La Junta, our current location in Medina was purchased and Deer Creek Camp as we know it was born! 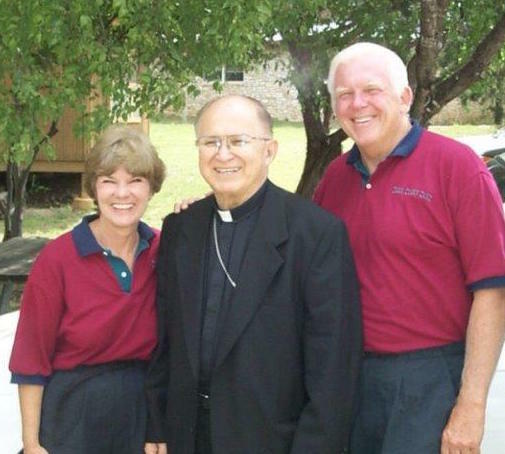 Click here to Learn more about "The Bears"
Prior to Deer Creek Camp being owned by Jim and Pam, this property was owned and operated by the Catholic Diocese of Corpus Christi. For many years, the diocese brought children from the Corpus area to have a special Camp experience. 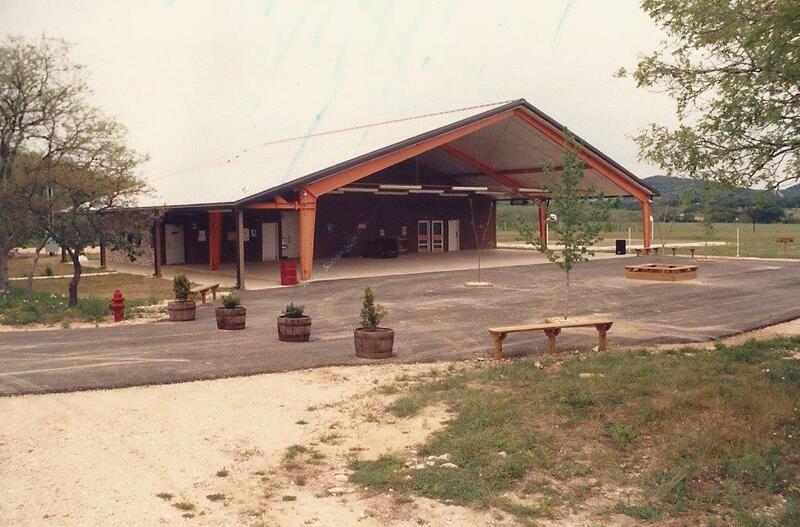 In the late 1990's, changes at the diocesan level led to the Camp being put up for sale, and God opened the door for Deer Creek Camp to be born. However, it was very important to the Behlings that children from Corpus Christi still have the opportunity to have their own "Corpus" experience. Therefore, ever since 1999 one week of the summer has been set aside for "Corpus Week". Picture: Mama Bear and Papa Bear with Patrick Flores, former Archbishop of San Antonio. Jesus is saying that the GREATEST commandment in the entire law is to put God first, and your neighbor second. 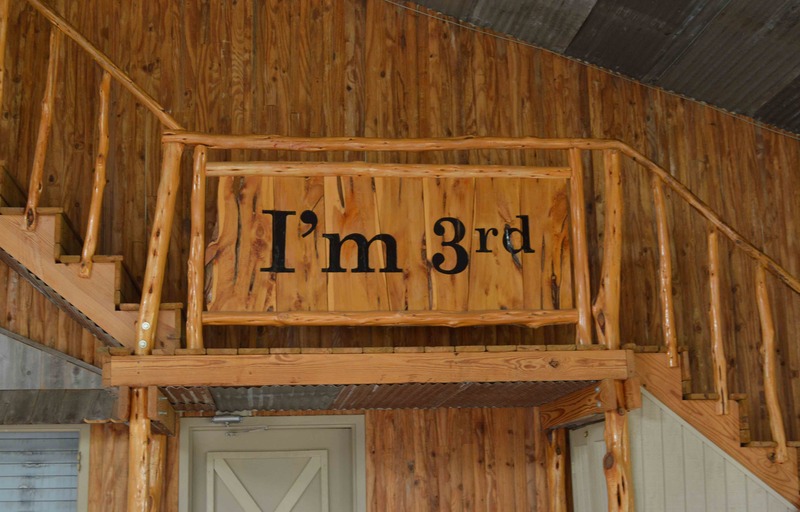 This means that Christ-followers are to put themselves third. Jim and Pam learned this principle from their hero and mentor, Spike White, and were so impacted by its influence on their lives that they have used it as the chief teaching point for all of Deer Creek Camp. Every summer campers learn that by putting God and others above themselves, they can find the joy and peace that they have been missing all of their lives.